Jimmy Kimmel’s recent late night TV bit hilariously illustrated how easy it is to get people to disclose their online passwords. Less funny, Kimmel underscored how casually people can take their online security. At last count 3 million people watched this YouTube video but I wonder how many of these people reflected on their own vulnerability or took action to protect their information and privacy. You might think these people are completely nuts for sharing their passwords—on national television, no less—but how many people use the simplest passwords because it’s easy? How many people share passwords with others because it’s easy? How many people hoard documents and emails with all sorts of personal data from passwords to social security numbers because it’s easy? Nathan Chai, wrote about why humans can’t be trusted with creating passwords, noting that 30,000 websites are hacked every day and that 76 per cent of breaches on corporate networks are due to weak employee passwords. He also shared that 75 per cent of internet users have fallen or will fall victim to hacking. Intel recently unveiled their True Key application which promises to remove the hassle of remembering multiple passwords and instantly logs you in to your apps, sites and devices using factors that are unique to you, like your facial features and the devices you own. Experts say Passwords should always be long and contain a combination of upper and lower case letters and digits at least 44 characters long, which makes them difficult to decipher. On The Huffington Post, Jeff Fox recently asked, “Why Did 2700 Websites Expose Our Passwords?” complaining about web sites that continue to email unencrypted passwords to users. 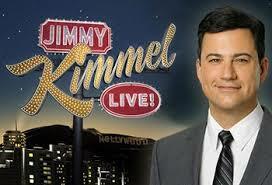 Hopefully Jimmy Kimmel’s use of humor reminds us all to raise our guard and think about personal online security. And not just password security, but the security of all the personal information and documents that we create, store and share unencrypted. We can all share a good laugh at the expense of those who are easily duped into divulging their passwords on camera, but it’s never funny when personal information like financial documents and tax records are compromised. Why leave them open to snoopers and thieves when there are simple tools like HoGo for protecting documents and securing your most important information.